I have chosen Beethoven’s Diabelli Variations – more “transformations” than variations – quite simply because I could not do otherwise. They are necessary to me – vital. After playing his 32 Sonatas, it seemed to me essential, but also natural, to meet a new challenge with him, to enjoy another great journey in his company; one could say, another “initiation”. This monumental Op. 120 concentrates many of the difficulties I have experienced with the sonatas, but its language has become more and more familiar over the years. Not only did I want to play Beethoven’s Diabelli to experience, once more, a cathartic encounter through the pinnacle of his art, but also because I love them more than anything! 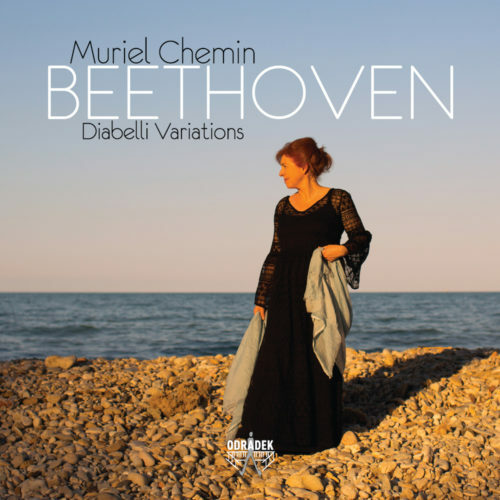 When starting the purely instrumental work on the Diabelli, I did not realise that what seemed the least difficult was in fact incredibly complex to render, and all the things that seemed relatively “simple” were key to the interpretation. I worked out the pianistic aspects long before other parameters, themselves so complex, so that the whole edifice remains coherent, according to my personal experience with Beethoven and my own personality.